Anthony Ford was nine (9) years old when he lost his courageous battle with cancer. Anthony was bright, outgoing and compassionate with a love for life. Throughout his 18 month battle, Anthony lived his life to the fullest, determined never to allow his disease to interfere with doing things that he loved. Anthony loved playing hockey and dreamed of one day playing in the NHL as the “Next Great One”. 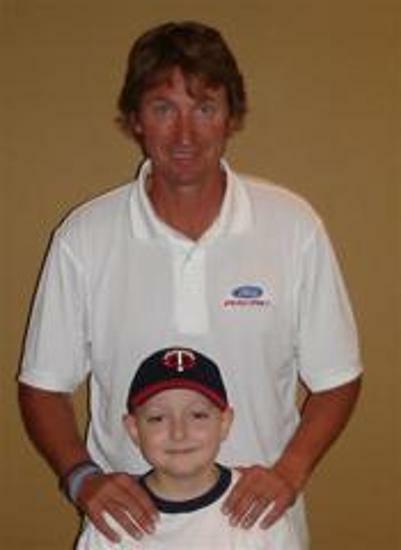 Prior to his passing, Anthony had the opportunity to meet his mentor and hero the original “Great One” Wayne Gretzky.